When it comes to the Dow, there are no casino or gaming industry stocks involved. 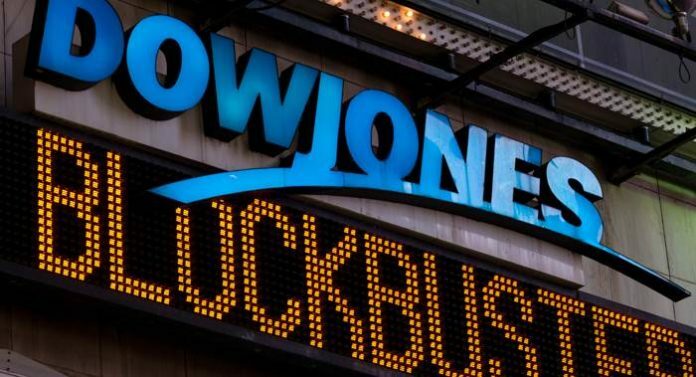 However, many major gaming firms have still benefited from the Dow’s growth, which has seen a steady rise in the last few days. Some of the most significant and prominent gaming firms to see the growth are the Las Vegas Sands Corp., Caesars Entertainment, and MGM Resort International. Many analysts believe the factor for gaming stocks to have experienced such a significant increase is because of the island territory of Macau. Macau is considered by many to be is the hub of the casino world. The territory itself has seen a very steady increase in revenue; this month was the 16th consecutive month it has seen an increase in revenue. Las Vegas Sands Corp., owned by Sheldon Adelson, saw an increase by one point last week, and the stock continues to grow. The gaming company has seen a steady growth as well, with more than 10 percent of the operator earnings, specifically located in the Asian marketplaces of Macau and Singapore. This is not that hard to believe because Macau continues to see consecutive months of revenue increases. However, these two marketplaces do not represent the total market. They have been quite beneficial for the gaming stock to see an increase. In addition, Caesars Entertainment has benefited in the past few months. The common stock in Caesars Entertainment is up by 14 percent, which beats the Las Vegas Sands by 4 percent, which is also considered a respectable gain. However, what makes Caesars’ story so compelling and so much more valuable is that this company is just bouncing back after having filed for bankruptcy. Only two months ago, Caesars Entertainment had emerged from bankruptcy. The whole process was considered by many to be a rather tortuous ordeal. Many of the owners believed it was one of the largest and complex bankruptcy in generations. It may have been an exaggeration, but Caesars Entertainment is back on track and has, thus far, been seeing an increase in revenue. This comes from the fact that the casino has made many new business plans that have helped it cut expenses in areas that were initially draining it. Lastly, the very popular and famous MGM Resort Casino has also seen an increase in revenue, all of which has added to the overall gaming stock rising. The Mega-Star Resort Casino has seen a noticeable increase as well, sitting at 8 percent, although not as high as Caesars Entertainment of the Las Vegas Sands Corp. The gaming firms have become highly influential entities in the marketplace, and with gambling, especially online gambling, becoming a much more desired form of entertainment, the expectation of this industry to continue to rise is very high. The gaming firms continue to improve the quality of gaming they offer and, with sports gambling soon to be legalized, the stocks of these businesses will soar. Unfortunately, because of the Las Vegas mass shooting at the Mandalay Bay, which may be a reason the casino has not seen as significant a rise as the other two casinos, the firm has seen a rather slow increase. Even worse, the firm may have to face a lawsuit stemming from the mass shooting that injured hundreds. With more than 450 people affected, the lawsuit will most definitely influence the stocks for this gaming firm. This incident probably won’t be too damaging to the international casino because it is a widely popular casino, and has locations around the world.